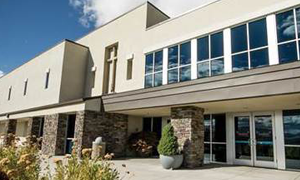 When Summit Christian Church in Sparks, Nevada needed cash to pay down its mortgage, the church found exactly what it was looking for. “We realized the AT&T cell tower lease on our property could meet our immediate capital obligations,” says Bob DeHuff, Director of Administration. Landmark Dividend, a company specializing in cell tower lease buyout transactions, proposed that the church trade its monthly cell tower revenue for a lump sum payout. By signing over the AT&T cell lease to Landmark Dividend, the cash funding would pay the church’s debt. At the time, several companies approached Summit Christian Church with similar offers. “This isn’t my first rodeo. I’ve been seeing deals like these for years. While others came on strong with their pitches, Landmark wasn’t pushy at all,” said Bob. He described how Landmark Dividend was patient and always available to answer questions. “They were transparent and made sure we felt comfortable with every aspect of the transaction—they were honest from the start. I’d tell anyone to call Landmark before they made their final decision,” he said. Bob also appreciated the simplicity of the contract. “Given the state of business today, I expected hundreds of pages of fine print. But Landmark’s paperwork was logical. It wasn’t onerous at all,” he says. With Bob’s endorsement, Summit Christian Church accepted Landmark Dividend’s proposal. Within 30 days, the church received the capital and immediately used it to decrease the principal on its mortgage. or click here to submit your information and we’ll contact you.